Step 1: Gather the required tools. You will need a long, thin tool. 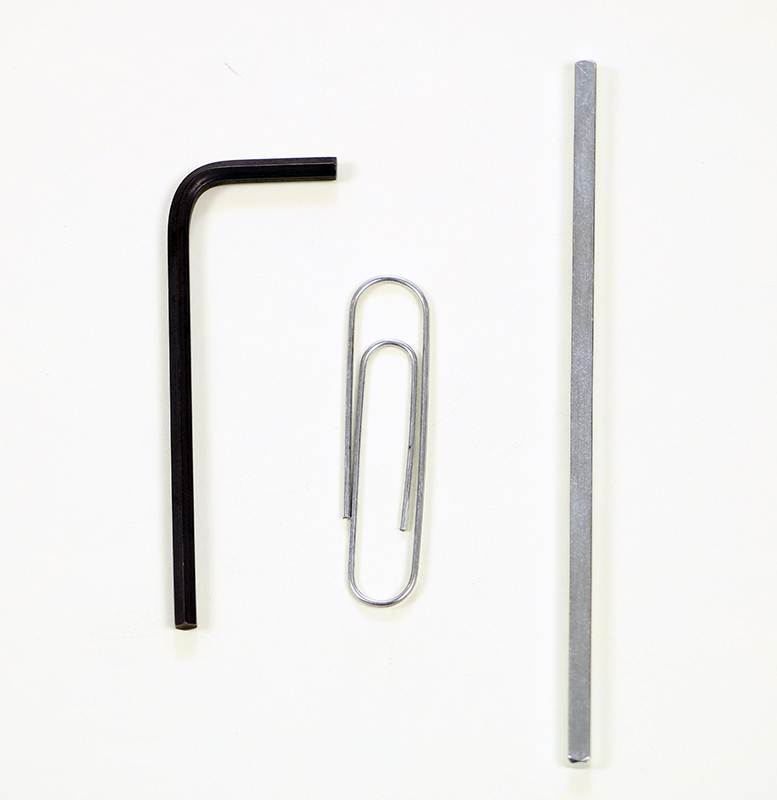 A hex key, a VEX shaft, or even a paper clip can work. 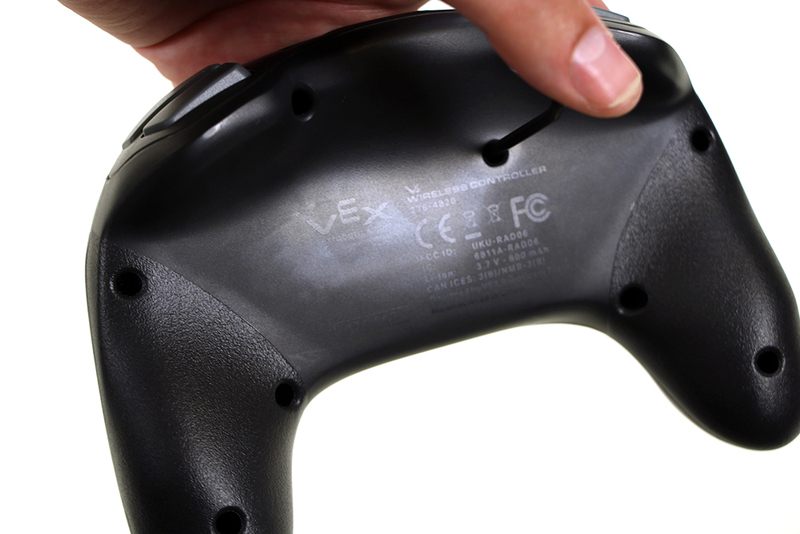 Step 2: Locate the reset button on the V5 Wireless Controller. 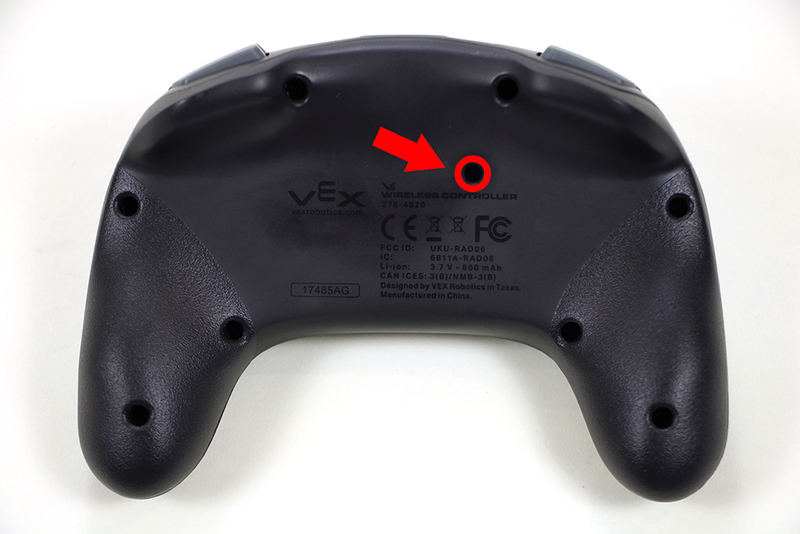 The reset button is a white button that is located at the bottom of the hole closest to the center of the controller. You can confirm that this is the correct hole by using a flashlight and peering into the hole. You should see a white button, not a screw. Step 3: Press the reset button. Use the tool from Step 1 to press and hold the reset button for 5 seconds. Then release the button and power the controller back on.